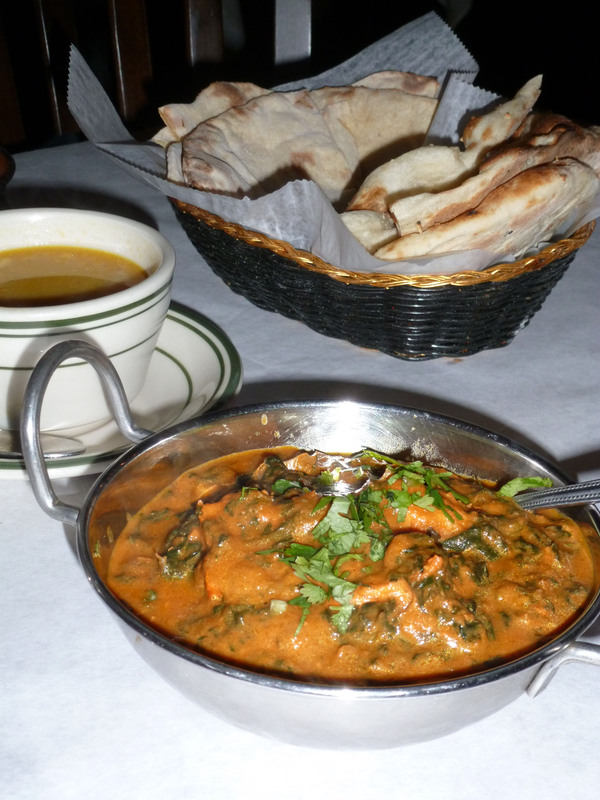 Cheapeats, Inc. Blog » Where To Find Indian Food in Spanish Harlem? Because we live at the Northern end of Spanish Harlem I though it pretty unlikely that an Indian Restaurant would ever open a block from my front door, and I thought it near impossible that this restaurant would serve some of the best Indian food I have had in New York. If you choose either eat-in or delivery you will get large portions, piping hot curry and masala sauces, and pillow fluffy naan or roti ever time. Though the restaurant can seat over 30 people, before the Hunter College School of Social Work went in across the street they did mostly take out and delivery business. When Polash opened about 4 years ago (maybe more) I could not believe that we were graced with such good Indian food at great prices a block away. Since we are avid patrons of Polash we are pretty familiar with their extensive menu, and it has only happened a few times that we have been less than thrilled with the food (and that was a few years back). 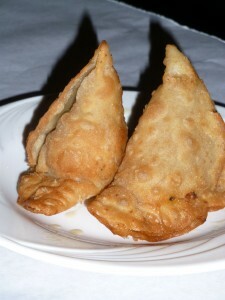 Some of our favorites include: banana pakora (which I LOVE), spicy papadam, vegetable samosa, chicken tikka saag masala, vegetable kufta curry, beef dopizia (my brother’s fav), saag paneer, tandori fish, and mulligatawny soup. On this most recent visit Keith tried something new and I went with an old favorite; and of course, we walked out with left overs, and a full order of banana pakora because it’s just as good as dessert as it is an appetizer. 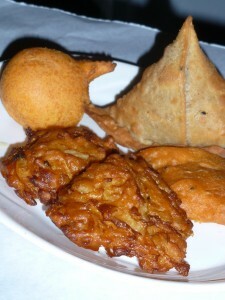 To start we ordered both the mixed appetizer (which can certainly feed two) and chicken samosa. Everything was deep fried to a lovely golden brown, the eggplant, onion, and banana pakora were crisp without being greasy. The chicken samosa, which I had never had before, had a very unexpected spice combination, which included cinnamon and cloves (I think). I ordered Chicken Tikka Saag Masala, which consists of chunks of marinated white meat chicken slow cooked in a rich, vibrant, and complex tomato based sauce with spinach. The chicken was (and always is) extremely tender, and completes the perfect bite when it’s smothered in the Tikka Masala Sauce with a little rice. Even though it is one of my favs, I can never finish it. 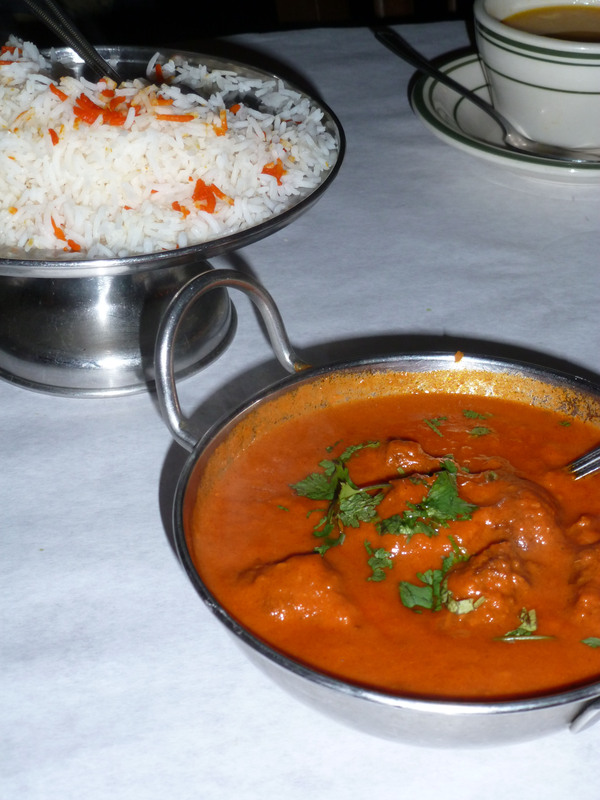 Because there are endless options on the menu Keith decided to order something new and went with the Kofta Masala, and it has now been moved to the favorites list. The ground lamb meatballs were well seasoned and very tender, and the Masala sauce, though similar in color and texture to the Tikka Masala Sauce, it had more heat and paprika, so the flavors were slightly cleaner with less richness. Keith liked it so much that he did finish all of it. We also ordered both garlic naan and roti, the two best breads to dip in the great sauces once you eat everything else that comes in them. The other gre at thing about Polash is that the Staff is very pleasant, and they are willing to talk with you about the cuisine they prepare and the ways in which they can tailor the dish that you ordered to your liking. Whenever I have asked them to change anything (normally I ask them to add vegetables to the dishes that only have meat), they are extremely accommodating. They are also open late, have extremely fast delivery, and are really good at getting your phone order right. 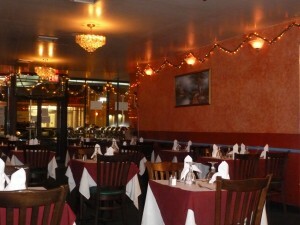 If you have never had Northern Indian food Polash is the place to try it. Forget Little India (on the 20s on Lexington) because those restaurants can’t offer anything better than what Polash has Uptown. This entry was posted by Arionna on Thursday, December 13th, 2012 at 8:20 am	and is filed under Harlem, Indian, Manhattan. You can follow any responses to this entry through the RSS 2.0 feed. You can leave a response, or trackback from your own site.